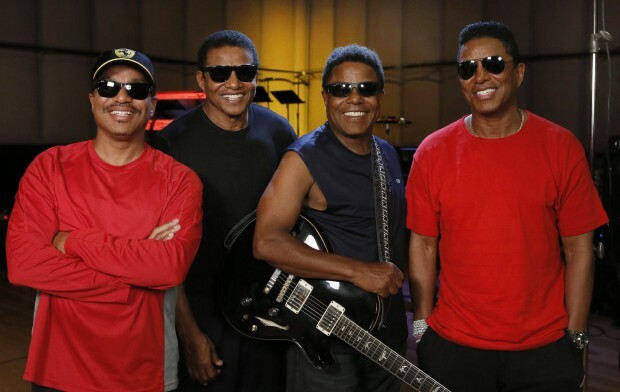 With one of the most famous last names in the music business, The Jacksons need no introduction! The brothers return to Australia in January so we had a chat to Tito Jackson about music, family and legacy, with the legend saying they won’t stop until you get enough! “We plan to set a record with it that’s for sure. You know we started so young,” he says. “The only person or group that’s above us right now I think is the Stones, they’ve been doing it just as long, if not longer. And legends they are. A career spanning over five decades, three Hall of Fame titles, a star on The Walk of Fame, four number one tracks and eleven singles in the top 10 Billboard charts, the brothers are still making music and touring. Defiantly picking up his fathers’ guitar at age of ten, some would say Tito sparked the Jackson 5 phenomenon, but he doesn’t like to take the credit for their renowned career. At 65 years of age, the Motown veteran has just released his debut solo album, Tito Time, following in the footsteps of all of his siblings. Tito Time fuses love songs, ballads, pop, R n B, country and the classic Jackson motown sound with audiences getting a taste of songs at The Jacksons upcoming Australian National Tour. In their first tour since the Unity Tour in 2013, the quartet will be bringing with them a full blown Motown party. Kool and the Gang, The Pointer Sisters, Village People, Sister Sledge and the Sound of the Supremes are coming along for the ride for what is set to be homage to the great Motown label that kicked off their careers. Don’t worry if you miss them though, they will be back! Notably, the fifth member of the famous five, Michael Jackson, will be missing from the lineup. Next year will be the ten year anniversary of the passing of the King of Pop and Tito confirms that the family have something special “in the incubator”, but says the group will never replace Michael in the quintet, the way bands have done in the past. As the band continues on, one question remains. How have the Jacksons kicked the notion of ‘you should never work with family’ to the curb? If your love for the Jacksons is as true as their sibling love, make sure you grab tickets to the Motown mayhem!